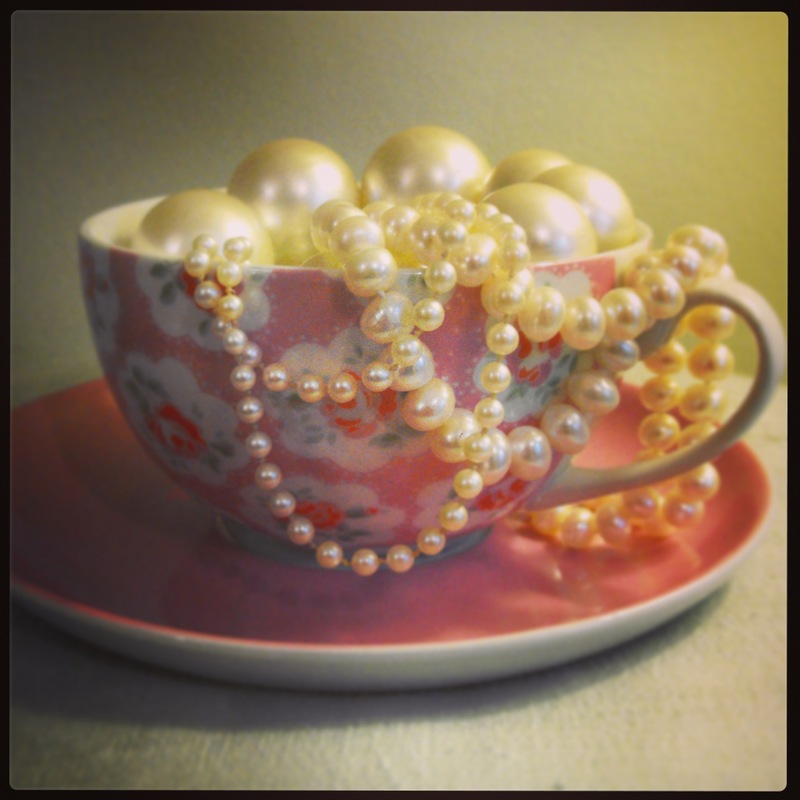 Given the title of this blog, it’ll come as no surprise that I am a massive fan of pearls. Aside from their shimmering allure and heavenly tactility, what intrigues me more than anything is that that beautiful spherical blob of shimmering prettiness started out life as a reaction to an irritant; a parasite that ‘muscled in’ (see what I did there?) to the shell of the mollusc causing potential injury to the flesh. The mollusc creates a pearl sac to seal off the irritant, and layers of calcium carbonate are released around the sac, in effect, being glued together by a compound called conchiolin to form a pearl. I find it utterly mesmerising and inspiring that something which was meant to cause harm can be utilised and turned around to form something beautiful that can be used in a way that was never intended when the process began. Thinking about this from a human point of view, when was the last time you cut yourself, bruised your leg or stubbed your toe? Your body automatically sends out defences to fight the irritant or pain and in time new skin forms, the bruise disappears and the pain goes. What about your mind? How did you react last time someone spoke harsh words to you, cut you up or made a careless remark? You might not be in control of how people around you treat you, but you are sure in control of how you react to them and whether you let their insensitivity, carelessness or downright vindictiveness affect you. For me, the greatest ‘pearl’ example in history is that of Jesus Christ being crucified so that the parasite of sin in our lives could be turned into something beautiful. Jesus’s captors had the sole intention of causing death, not realising that what they actually provided was a catalyst for God to turn the situation around into the most beautiful entity imaginable…redemption from our parasites and irritants so that by grace we can, when the time comes, enter through the pearly gates. Think about it.